Brulian Wedding. . Wallpaper and background images in the Brooke and Julian club tagged: haley paul victoria 8x13 the other half of me wedding season 8 julian baker brooke davis. 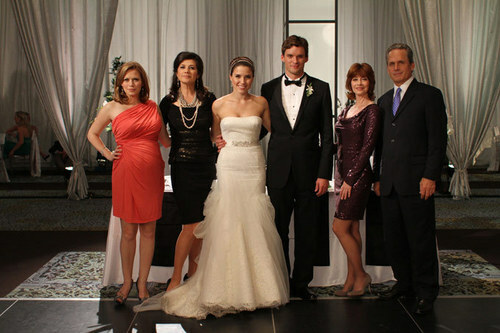 This Brooke and Julian photo contains dama de honor. There might also be traje de negocios and juego de negocio.